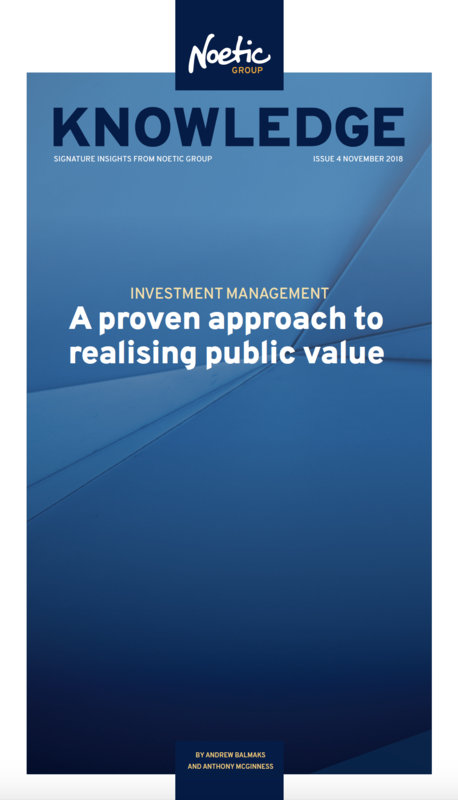 In order to deliver public value, there is a need for organisations to optimise the use of their scarce resources. This Noetic Knowledge is for people in organisations who make investment decisions and for those who develop business cases. In our experience, not all organisations understand how to apply, and measure their investment. Since 2005, our framework for managing investments have been utilised extensively. Numerous organisations have used them to correctly identify their problem, make clear business cases, and develop solutions that can be clearly measured and evaluated. Find our Investment Management Self-Assessment and related Maturity Ranking which provides organisations with insights as to where they can improve their investment management frameworks.